What next for the London housing market? James Bailey, Chief Executive of Henry & James writes why buyers have put a period of wait-and-see behind them and are now investing in prime central London. As the leaves turn and a nip is in the air, it has been a busy start to the autumn. We exceeded our September targets by 100% and, the way October is going, Halloween is likely to be more treat than trick. 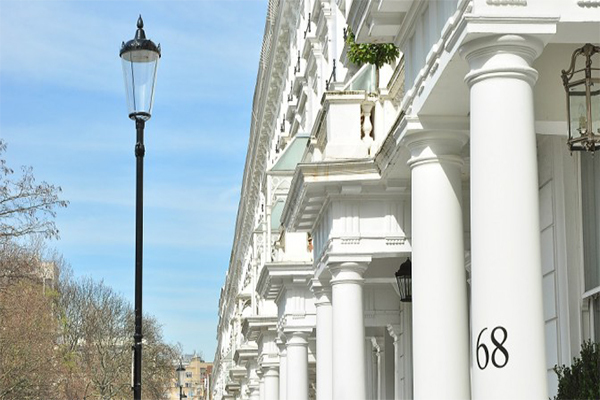 By Bonfire Night, the Belgravia property market could be ablaze with good news. We are seeing a lot of interest from British buyers at the moment. In fact, they currently make up about 60% of our clients. We are also seeing increasing numbers of buyers from Europe and, in particular, Spain and Italy. They have been watching the UK market very carefully, and only generally purchasing when they see a good deal. So, price remains critical, and sellers need to be mindful of that. Now after holding off for some time, buyers are clearly ready to start investing again. There is a tangible confidence in the air and you only have to drill beneath the headline figures to understand why. When looking at the volume of property transactions, which is often a surer guide to the state of the market than raw property prices, the picture is pretty upbeat. In the second quarter of 2017, sales of properties in the £5-10 million bracket rose by 23%, according to data compiled by London Central Portfolio. It is as if investors had taken stock of the political situation, factored in the rises in stamp duty, and after a period of wait-and-see, felt confident enough to make a move. The LonRes summer report, reviewing activity in the first half of 2017, also gave grounds for cautious optimism. Prime central London was busier in the first six months of the year than during the equivalent period a year ago, with the number of properties sold up by 3%. And while achieved prices fell, they fell by just 0.8%. The rental sector is also picking up: achieved rental values were higher in the second quarter of the year than the first. Perhaps the most encouraging statistic in the LonRes report is the increase in the number of properties coming on the market. There were 4.5% more properties on the market in prime central London at the start of July than at the start of the year, while on ‘prime fringe’, the figure was even higher, at 13%. That suggests that the building blocks for a recovery in the market are slowly falling into place. A year ago, the market was still spooked by the shock of the vote for Brexit. Some analysts were expecting that that indecisive outcome of the general election on 8th June would also send jitters through the market. This has just not happened. People are moving on, ignoring the political froth. As in the past, the London property market is showing its resilience. In the minds of many high net worth individuals, both from Britain and overseas, London remains what it has been for years – a safe haven for investors.